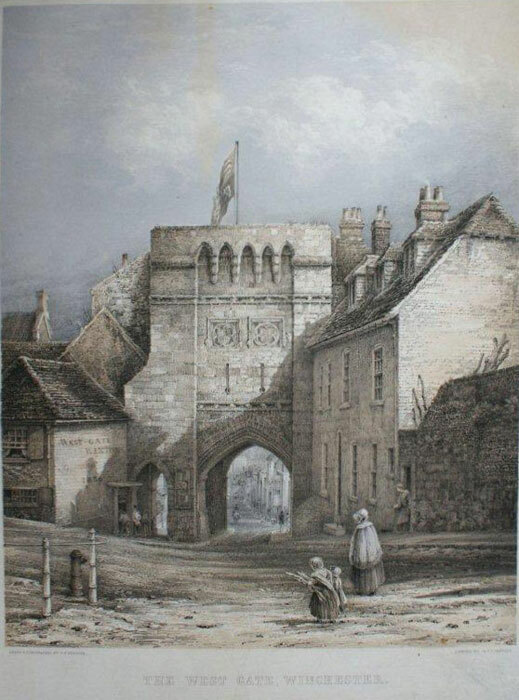 The West Gate of Winchester. West Gate, Winton. Tinted lithograph printed in black, blue and yellow. the buildings shown through the arch of the Gate are untinted, which makes the view three dimensional.